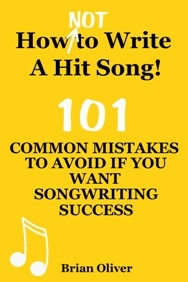 Music publishers and A&R executives often talk about how important it is for new singer-songwriters to create their own unique style. But what they really mean is they simply want you to sound original. In reality, your songs should not be completely different from anything music industry execs have ever heard before. Ideally, they want something that develops what is already out there – not a sudden leap that will leave a huge gap between you and the audience. For your songs to be commercial and marketable so that they will sell (which, at the end of the day, is all that record companies and publishers are really interested in), your ‘unique’ songs still require a hint of familiarity so that people will be able to relate to them. In other words, listen to what is currently being played across lots of different music genres – then carve your own niche by adding something new of your own. One of the finest current examples of this approach is British singer-songwriter Laura Mvula. One magazine has described her as a “musical magpie”; another reviewer referred to her musical style as “Nina Simone sings the Beach Boys”; while another even coined a brand new genre – “gospeldelia” – to encapsulate her soulful vocals and vivid soundscapes. With a degree in composition from Birmingham Conservatoire in Birmingham, England, Laura Mvula has created her own distinctive sound by taking inspiration from many different genres – including choral baroque music, George Gershwin, Björk, the gospel-soul of Jill Scott, Erykah Badu and Lauryn Hill, and the pop of Amy Winehouse. She has created something fresh by taking elementary melodies from each of these genres and turning them into complex five-part harmonies and emotional vocals. “I’ve always enjoyed bringing really simple elements together to make something that’s bigger or more interesting,” said 26-year-old Laura in a recent interview. “I’m just into things that circle round and round. It’s how my brain works.